You might change the way you look at yourself after watching this video. This amazing video by Jubilee Project is directed by Jason Y. Lee at Slickforce studio. The team of Jubilee Project asked one simple question to 50 people – If you could change one thing about your body, what would it be? The answers will simply blow your mind away. 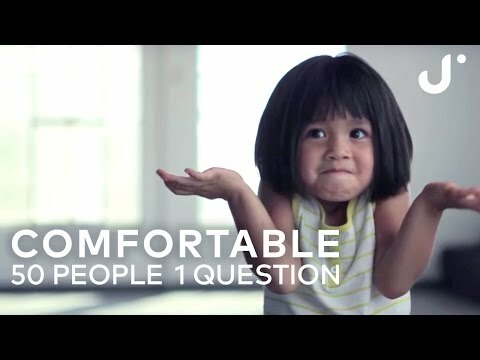 The experiment has been named as “Comfortable“, and shows how people feel insecure about their appearance. It was created with the purpose of making people comfortable and confident with the way they look. The also started a campaign called ‘#IAmComfortableBecause‘ where people can write about what makes them comfortable in their own skin. neatly as with the structure on your blog. Is this a paid topic or did you modify it yourself?